I haven’t posted one of these in a while, so here goes. I cook big batches of healthy stuff to assemble into meals on the fly. 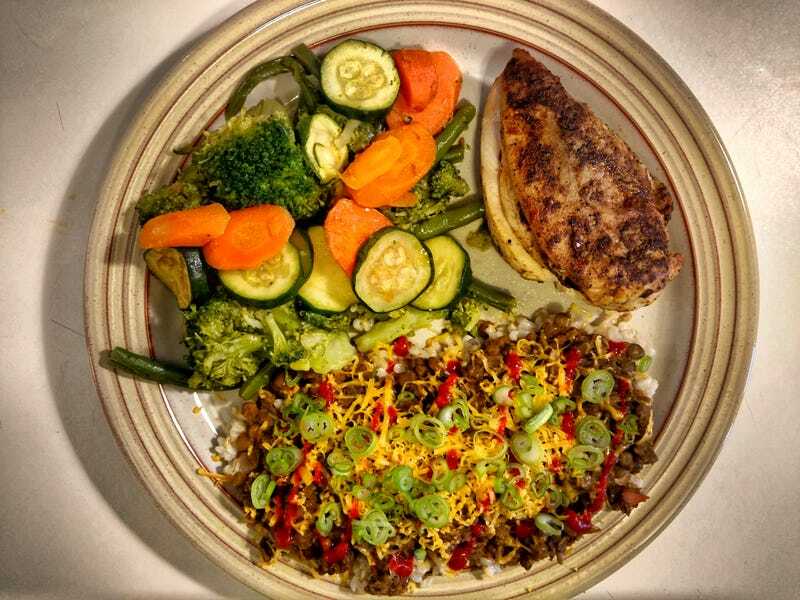 Here’s a pile of brown rice and lentils with some garnishes, a pile of green beans, carrots, broccoli and zucchini, and a chicken breast.